If you had told Bryce Cook a few years ago that in 2016, he would be organizing a support group for family members of LGBT people in the Mormon faith, he probably wouldn’t have believed you. For a long time, Bryce wasn’t comfortable with the LGBT community, following long-standing positions of the Church of Jesus Christ of Latter Day Saints that spoke against homosexuality. “I had very un-Christlike feelings toward gay people,” Bryce wrote in a personal reflection several years ago, confronting his longtime lack of understanding. But slowly, over time, his negative feelings about gay people began to change in 2003, when Bryce and his wife Sara received a letter from their son Trevor. For Bryce, Sara, and the Cook family, learning that Trevor is gay was an important first step on their journey toward more fully understanding the LGBT community – and the discrimination people face, often with few legal protections. “Hearing my son – who I knew was a good young man, who was faithful in every way to his church and to everything that we taught – made me realize that what I believed or what I thought I knew about being gay was wrong,” Bryce said in a video from One Community Arizona. But while Trevor came out to his parents, he didn’t come out to his five other siblings and extended family until years later. And when he did, in 2011, he unknowingly made space for his brother, Tanner, to feel comfortable coming out about his own sexuality. 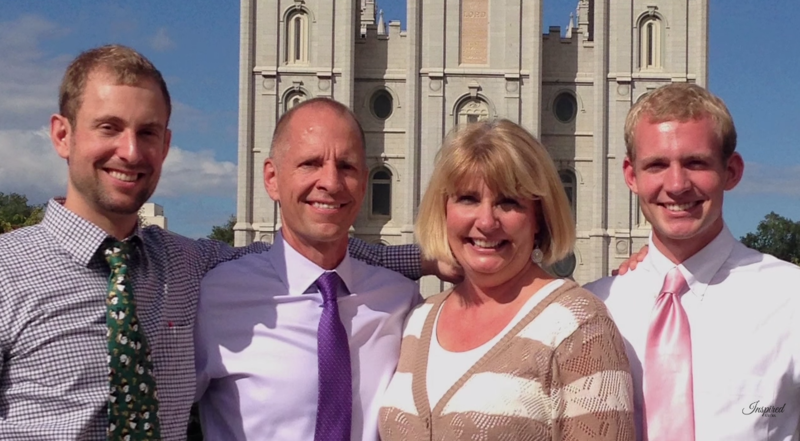 Tanner – who listened to his brother Trevor explain that he is gay via Skype, since he was in Utah at Brigham Young University following his LDS mission – wrote a note to his parents shortly after that conversation. He, too, he explained, is gay. 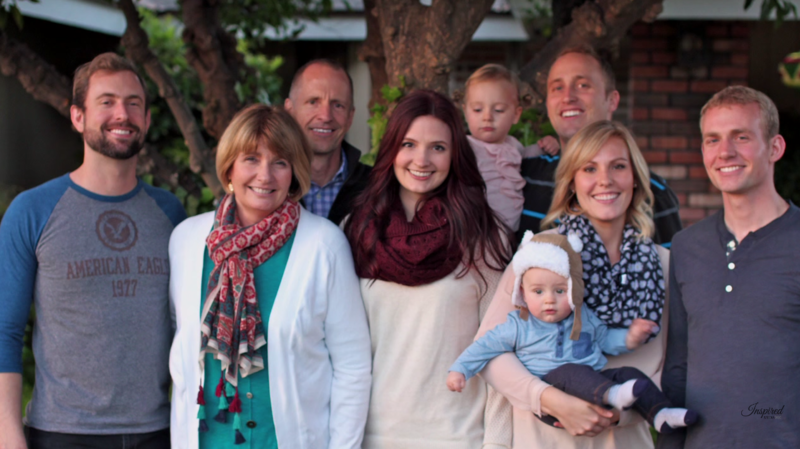 The two experiences helped catapult the Cook parents into action, determined to share their experiences and help other parents, especially within the Mormon community, to better understand their children and other LGBT people. * * *Now Bryce and his wife are fully supportive of the LGBT community. “My sons’ experiences put a human face to something I had never known anything about, especially in a religion that sort of demonizes it,” Bryce explained. He and Sara worked with their family to begin ALL Arizona, a community of LDS Church members in Arizona, including LGBT people, their family members, and other allies. 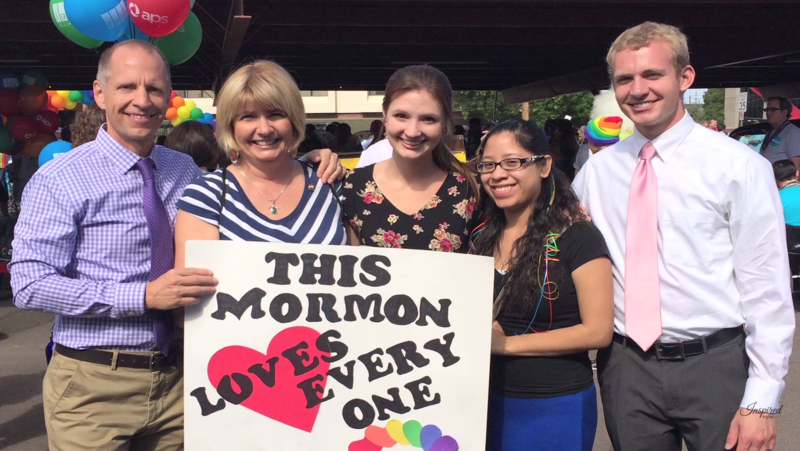 ALL is designed to recognize that being both LGBT and Mormon is a challenge – but that there are many supportive members of the LDS Church. 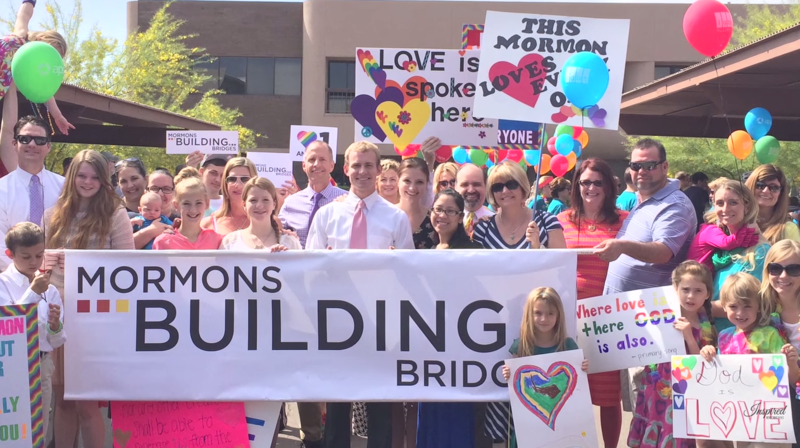 The community has two objectives – to speak out about the importance of welcoming LGBT members of the Mormon church, and to educate non-LGBT people to help them grow to love, accept, and understand what it means to be LGBT, and why an LGBT identity should not be shunned. ALL now hosts an annual conference committed to these goals. Last year, Bryce and Sara’s work with ALL earned them recognition from One Community Arizona when the organization chose them as “Change Agent Award” recipients. Their work also has many intersections with the national fight for LGBT-inclusive non-discrimination protections – laws that would protect LGBT people from discrimination in employment, housing, and public spaces. In Arizona, there are no state-level protections for lesbian, gay, bisexual, or transgender people. Bryce and his friends through ALL and other community members are also active on a municipal level, making the case in cities across Arizona that no one should face discrimination because of who they are or who they love. * * *Bryce and Sara have journeyed for many years on the path to understanding why it is important to speak up for the LGBT community – and that’s partly why they are so focused on their work educating and supporting their community members. He and Sara regret their initial opposition and failure to understand people with different sexual orientations or gender identities. And after their experiences with ALL, and the time they’ve taken to truly get to know people, they want to help as many other people as they can see the light.